Korey Zawadzki Sr Partner – VP Operational Excellence and Business Development Competitive Solutions, Inc. Korey brings to CSI an extensive background in training and development, within both the military and private sectors. A dynamic and motivational speaker, Korey has facilitated executive, middle-management, and front-line employee training sessions in both Operational Manufacturing as well as New Product Development environments. Korey started his career in the US Army, while receiving his commission from the Canisius College, ROTC program. While serving 8 years active duty, he held various Operational and Staff positions including: Support Platoon Leader/ Resource Manager, Company Executive Officer, Battalion Adjutant/ Human Resources Manager, Company Commander/ Senior Resource Manager. Korey continues to serve in the US Army Reserves (Major) as an instructor for the Command and General Staff College, Ft Bragg, NC. Korey is a proven Operational Leader in the private sector, as well with broad and diverse leadership experiences in Supply Chain Management, Material Logistics, Operations, Operations - Support, Personnel Management & Administration, Tools & Processes as well as Aerospace New Product Development while he spent 6+ years at Bombardier, Learjet. Korey is a Black Belt in Lean Manufacturing and is well versed in Six Sigma methodology. He received his Lean Transformational training and coaching from former Toyota Executives (Shingijutsu Company, Japan) as well as Sensei’s from McKinsey & Company who are currently serving as VPGM of well-recognized Corporations. 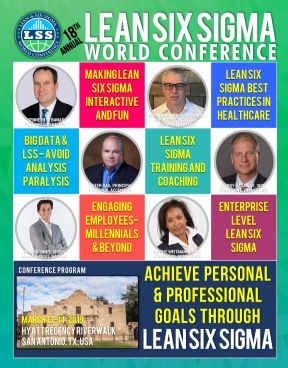 Korey has a proven track record of championing and deploying Lean Transformation as well as leadership training and coaching in the US, Canada, India, China, Mexico and Europe. He utilized this skill set while leading Learjet’s Cultural Transformation to a world class manufacturing organization. Korey understands the emotions and anxieties that often accompany cultural changes and is very adept at helping individuals and groups put these concerns into perspective. Korey’s experience allows him to bring a common-sense approach to organizational training. His interpersonal skills and goal-directed training style have achieved great success among CSI’s clients. Focusing on quantifiable outcomes and bottom line improvements, Korey’s ability to provide real-time solutions and recommendations that show the benefit of implementing a process-based work structure.